Pumpkin belongs to the gourd family which includes watermelon, squash, etc. It has orange flesh with seeds (also called Pepitas) in the center. Pumpkins are usually associated with holidays like Halloween and Thanksgiving; but in fact, pumpkins are available pretty much all year-round. Pumpkin can be kept in room temperature for at least a month. After the flesh has been cooked, it can be frozen and kept for several months. 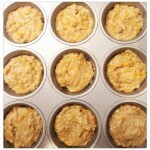 I defrosted my pumpkin flesh that I froze in January and made these amazing pumpkin muffins. 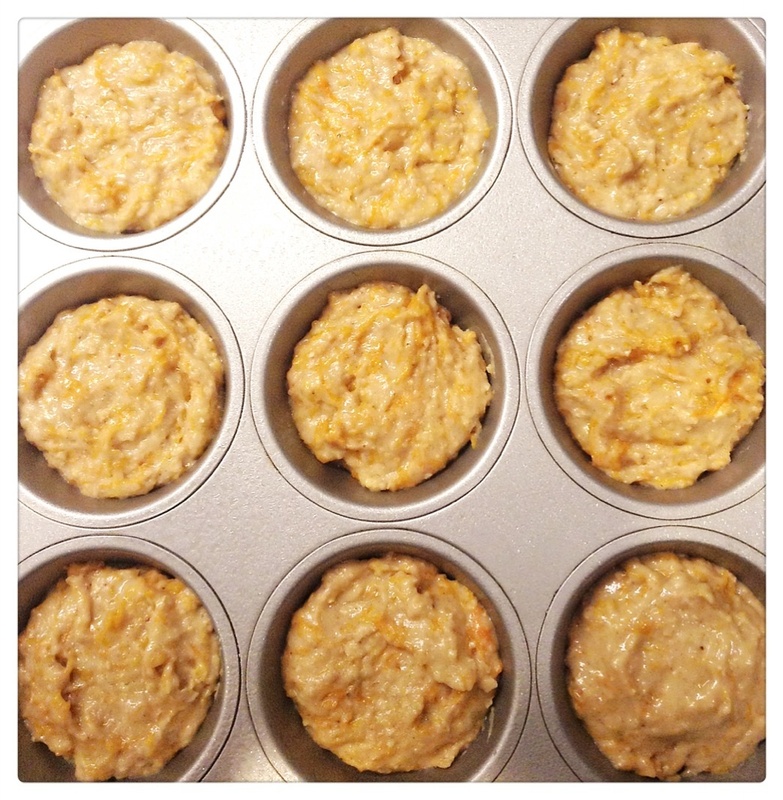 *To make these muffins more heart healthy, butter or oil has been substituted with applesauce in this recipe. 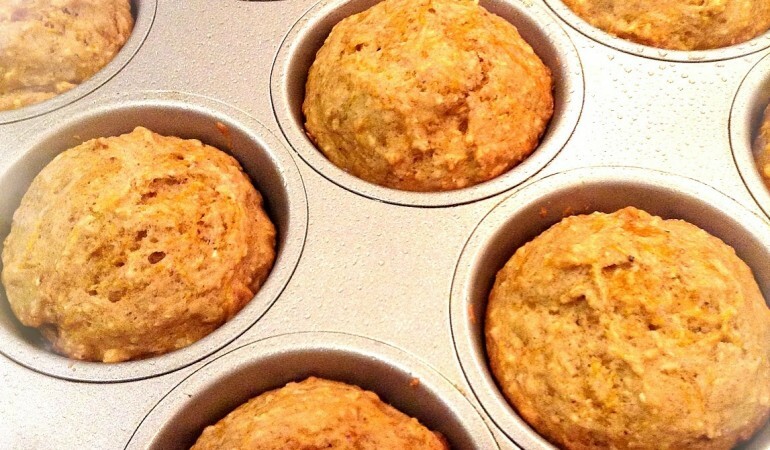 Whole grains, nuts and seeds like oatmeal, walnuts, flaxseeds, can be added to these muffins as well for added nutrition. 1. Preheat the oven to 350°F. Spray pan with olive oil spray. 2. 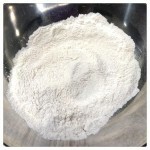 Mix dry ingredients together except sugar. 3. Mix applesauce and sugar. 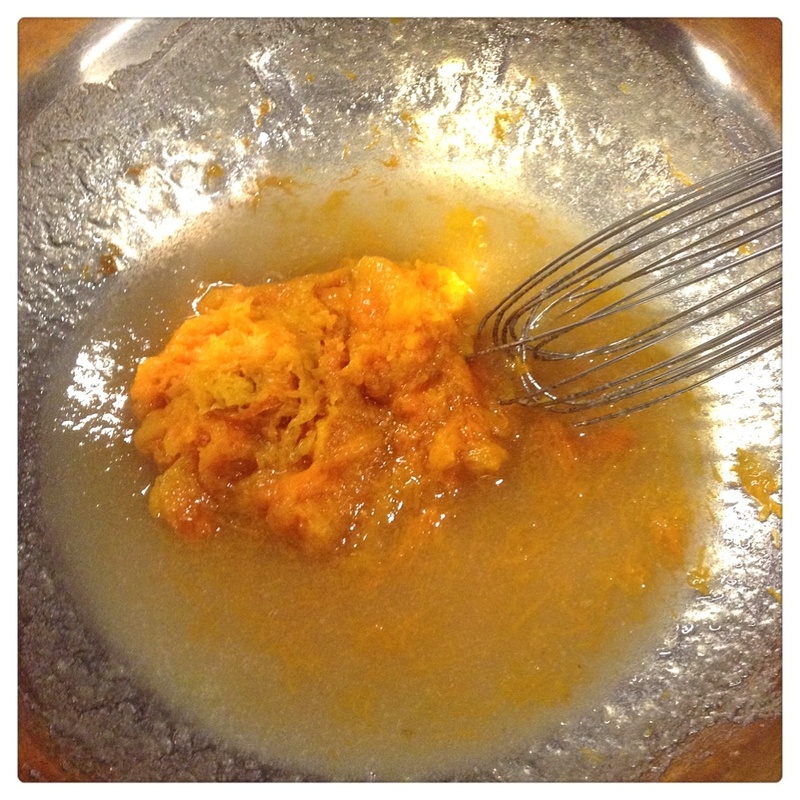 stir in pumpkin purée. Beat in eggs one at a time. 4. Add dry ingredients to wet ingredients. Mix until just combined. Do not over mix. 5. Bake in preheated oven for 20-25 minutes, until golden brown, or toothpick comes out clean.